Can You Freeze Ham? How Long Will it Last? Smoked ham will always make heads turn during holidays. However, that doesn’t mean that you won’t have leftover ham after a celebration. If you have leftover ham, how should you store it? Can you freeze ham? These are the questions I will tackle in this post. How long can ham last? How to determine spoiled ham? What to do with leftover ham? Contrary to popular belief, ham doesn’t have a long storage life when you put it in the fridge. For example, the fresh uncured ham will only last 3-5 days when in the freezer. 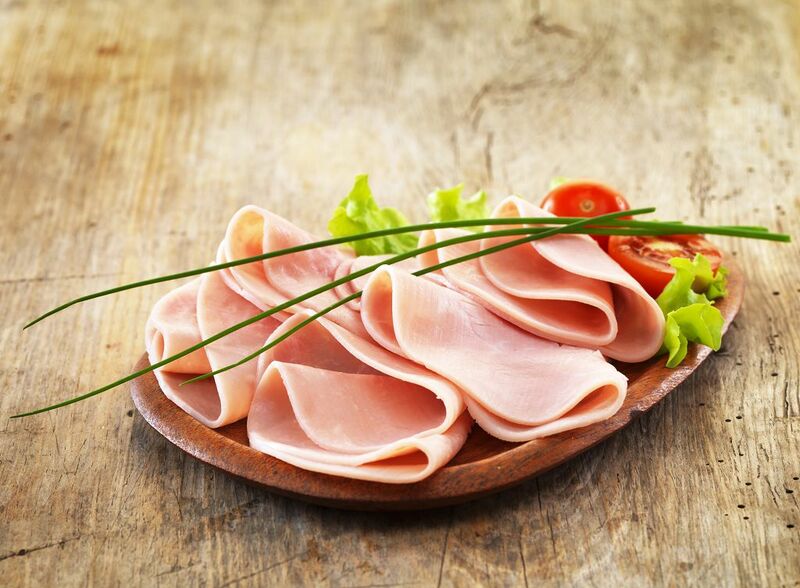 Spiral cut hams and leftovers from consumer cooked hams also have the same shelf life. But freezing can do wonders for the freshness of ham. 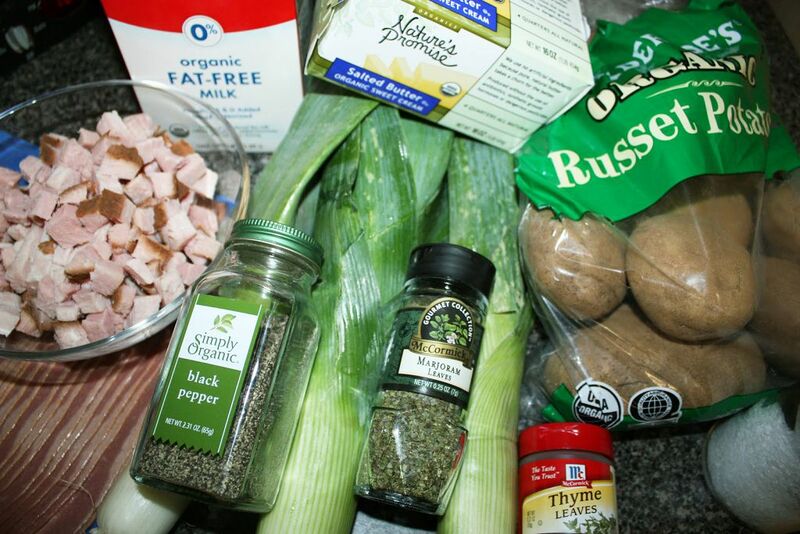 For example, the uncooked uncured ham will last for six months when frozen. 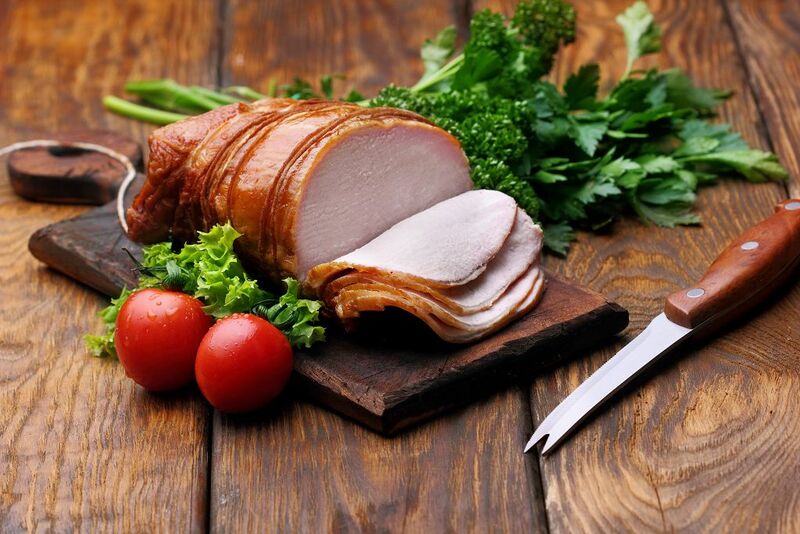 The cooked version of fresh uncured ham can last for 3 to 4 months when in the freezer. Spiral cut hams and leftovers can still be safe for use up to 2 months when left in the freezer. This ham storage safety chart from the US Department of Health and Human Services will give you more information on how long different types of ham would last long when stored in the fridge and the freezer. It’s quite easy to tell whether ham has turned bad. Spoiled ham has a very bad odor that is very noticeable. When you open the package or container, the smell is so foul that you would likely toss the food right away. So when the leftover ham that has been sitting in the fridge for more than a week has a funky smell, trust your nose and instinct—throw it away! Another noticeable indicator of spoiled ham is its color. Ham has that distinctive rosy pink color that stems from the curing process involving the injection of sodium nitrate. The said substance improves the moisture of the meat aside from preserving it. The color of the meat is pink whether the ham is cooked or uncooked. So when you notice colors like brown, gray or green, then you should toss the ham. The change in color indicates that the ham has gone bad. Moldy spots can also suggest that the ham is no longer safe for consumption. Mold can lead to the growth of poisonous compounds called mycotoxins. Moreover, bacteria may grow alongside the mold and further complicate things. So when you see that the ham you stored in the ref is covered in mold, I suggest you place it in a garbage bag before throwing away. This would prevent mold spores from going airborne and making someone else in your household sick. Freezing ham is relatively easy. You’ll need a sharp kitchen knife and a freezer-safe bag or container. I also suggest you prepare a permanent marker to label the container or bag, so you would know when you started to freeze the ham. First, slice the cooked ham into smaller portions. It’s really up to you to determine how small you want the ham to be cut up. Transfer the cut-up ham into a freezer-safe bag. You can divide the meat among several bags depending on how you plan to use them later on. Label the bags with the date so you would not forget when to use the ham. Remember, cooked frozen ham can last for 3-4 months though I suggest that you don’t wait far too long to use the leftovers. I know that no matter how delicious ham can be, there is still the possibility that you would grow tired of it if you eat leftover ham every morning even if you pair it with cream cheese to make a sandwich. Well, the sandwich isn’t the only dish that you can make out of leftover ham. 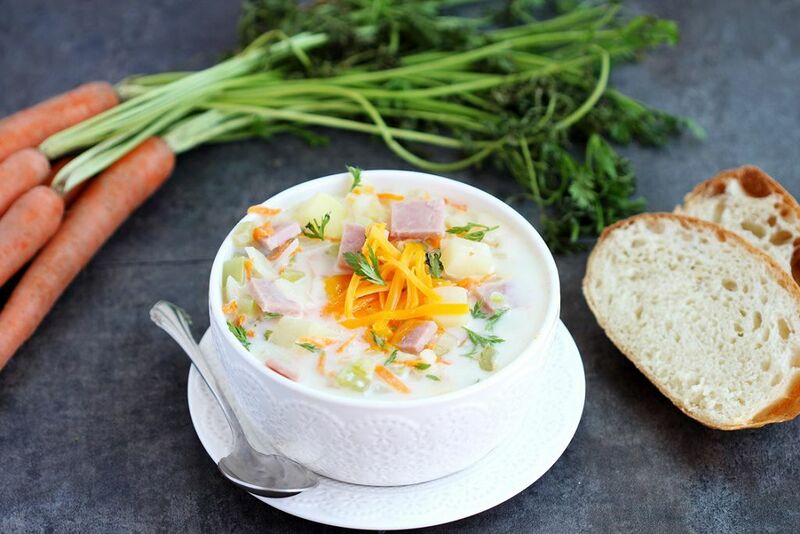 Here’s a simple cheesy chowder recipe that you can try so that you can reuse leftover ham. 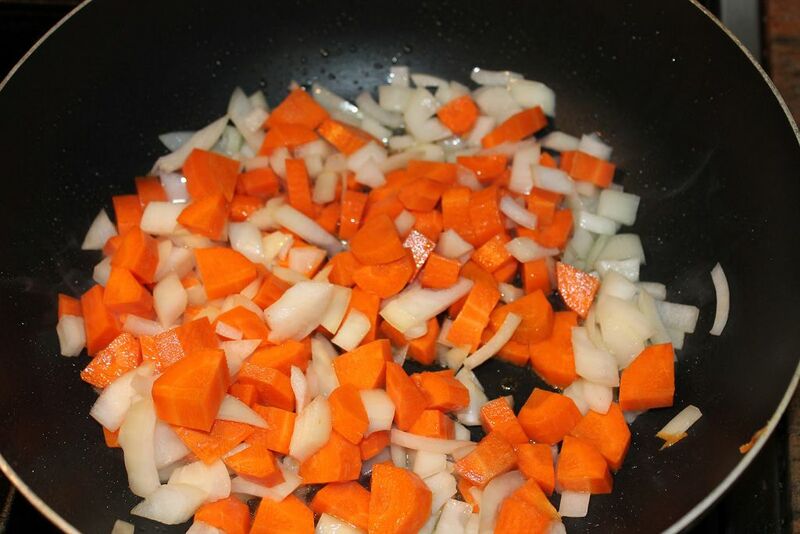 Saute the onion and carrots in the drippings until tender. Cook the bacon in a Dutch oven until it is crispy. Remove the bacon using a slotted spoon and place in paper towels. Saute the onion and carrots in the drippings until tender. Stir in the flour then add the milk and water. Bring this to a boil then stir for 2 minutes. Add the corn, potatoes, bouillon, and pepper. Lower the heat and let it simmer for 20 minutes without cover. Add the cheese and ham and continue heating it until the former has melted. Add the bacon before serving. This is an excellent dish for lunch or dinner. It’s quite easy to do as you should be done with it in 30 minutes. This recipe makes 10 servings. 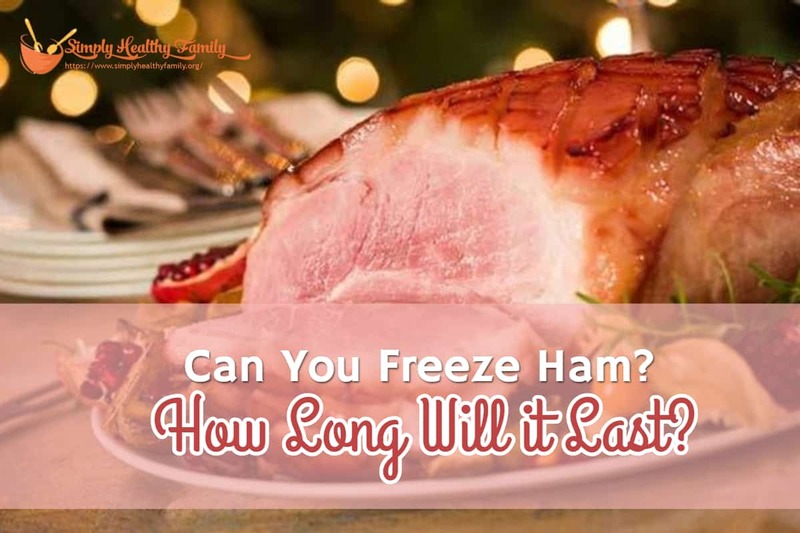 Summing things up, freezing ham is the best way to extend its shelf life. Doing so would keep the meat fresh for months. 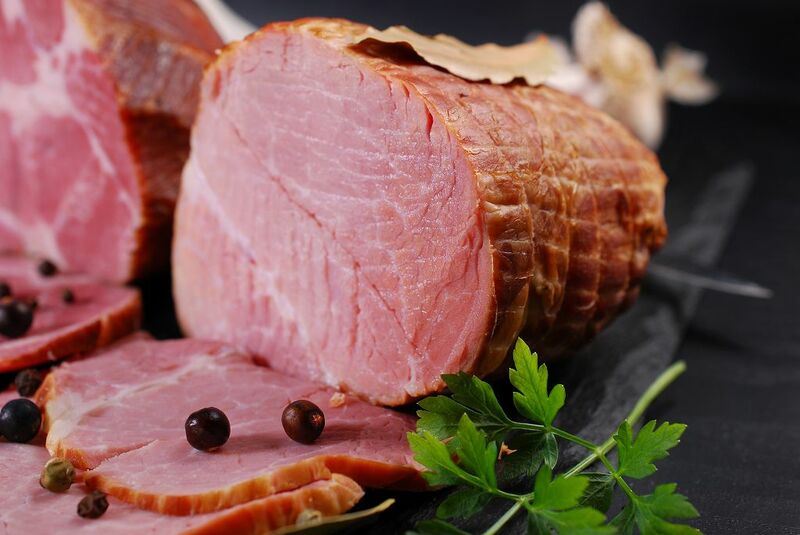 To freeze ham, cut it into small pieces first before placing it in an airtight container. Then label the container with the date and put it in the freezer. Filed Under: How long is it good for?